This volume is one of a series of twenty-four from Time-Life Books that chronicles the history and culture of the Native Americans. 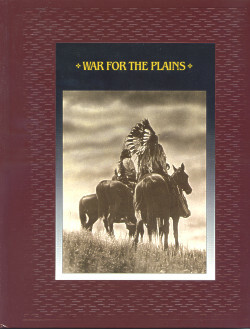 War for the Plains focuses on the most epic tragedy in American history. Sparked by the mid-19th century intrusion of white settlers on their homelands and hunting grounds, plains tribes struggled against starvation, devastation and military annihilation to preserve their culture, their land and their way of life.